Letterhead & Envelope packages are available in a variety of paper weights, colors, and styles. Print your letterhead and envelopes together as a package for design continuity and and superior pricing. 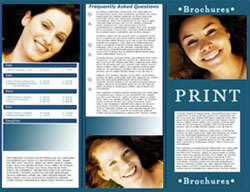 4-color printing produces brilliant letterheads & envelopes in a full array of paper weights & styles. Stationery being one of the most visible aspects of any business – its important you project a quality image. Your stationery will be seen and kept by your customers & will influence the way your business is perceived. High-quality stationery displays an attention to detail will reflect well on your company. Have your Envelopes can be printed or reprinted on demand in a variety of paper weights, colors, & styles.